It's officially the holiday season, which means that it's time to watch Rudolph, the Red-Nosed Reindeer again, along with a few other classics. However, viewers this year noticed some disturbing facts about the 1964 Christmas stop motion animated television special that they hadn't noticed before. The movie used to only air once per year, but like most other holiday classics, it runs several times now, which means that we can watch it multiple times with the rest of North America. Rudolph The Red-Nosed Reindeer aired Tuesday night on CBS, and social media instantly lit up with viewers voicing their concerns with the holiday special. One of the more popular observations is the one where one of Santa's elves throws a bird who cannot fly off of the sleigh. Many believe that poor bird is thrown to his death, but a closer look at the script reveals that the bird actually prefers to swim, so the elf is actually helping the little bird out by throwing him off of the moving sleigh. Second to the bird being thrown off of the sleigh, is the bullying aspect. Rudolph The Red-Nosed Reindeer is constantly bullied by the other reindeer. Many social media users posted the popular meme which says, "deviation from the norm will be punished unless it's exploitable." That's definitely the case here, when Rudolph is only treated well once they all figure out that his glowing red nose can help save the day. Others noticed that the bullying takes place within the first two minutes of the movie, setting the tone very early on for a traumatic viewing for some social media users. 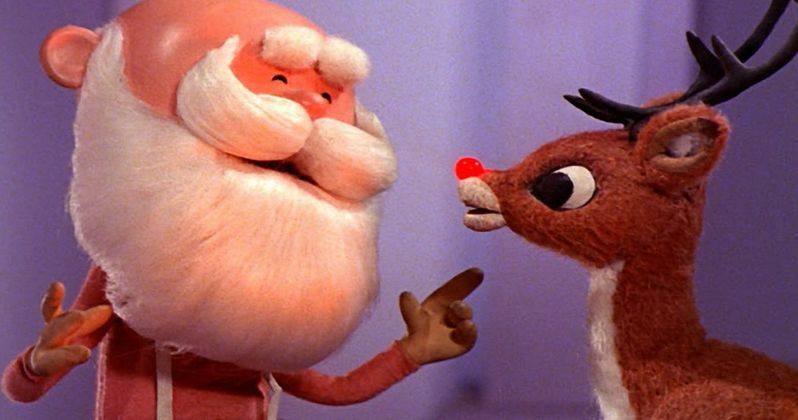 It was also pointed out that Santa Claus is kind of mean in Rudolph The Red-Nosed Reindeer. He pretty much turns his back on poor Rudolph until he later finds out that his red nose can help him, which is when he changes his tune. Other interesting observations about the 1964 classic state that Yukon Cornelius is the first hipster and that the Island of Misfit Toys is pretty messed up, with many asking why Dolly for Sue is there to begin with. Some of these questions will go unanswered, but social media is trying to solve all of the mysteries. Rudolph The Red-Nosed Reindeer currently has a 94 percent Fresh Rating on Rotten Tomatoes, which means that not everybody is offended by the Christmas classic. In addition to finding some flaws with the movie, it is also notable for being the longest-running holiday special in history, and only airs on CBS. Many of the groundbreaking stop-motion puppets were sadly thrown away after the production because the crew didn't realize that it was going to be a huge hit. However, there appears to be nine or ten puppets from the production, including a Rudolph, in the possession of collectors. You can read some of the responses to Rudolph the Red-Nosed Reindeer below, starting with the TrivWorks Twitter account. "WouId you Iike to be a bird that doesn't fIy? I swim!" It didn't say it can't. Maybe not flying is a choice in favor of (mostly) swimming. At least I hope so!